Can you recycle THAT in Baw Baw? We’ve all been there. Standing at the bin with a weird piece of plastic, cardboard, or styrofoam, wondering whether it should go in recycling or the trash. If video does not play, click here. 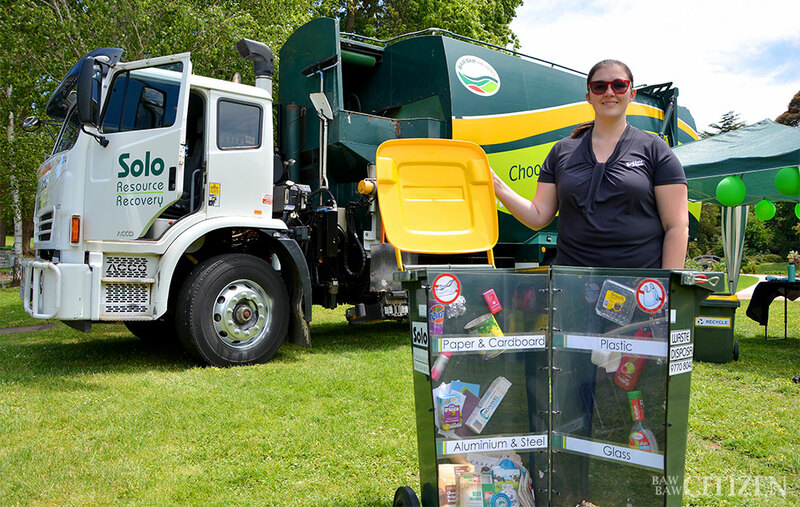 Solo Resource Recovery’s Rebecca McKeown gets a lot of questions about what goes in which bin. In fact, it’s her job as the company’s waste eduction officer to answer them. Rebecca was at last month’s debut Baw Baw Sustainability Expo to explain to visitors what is and is not recyclable. It’s a good thing she was, too. lidded garbage bin is the next best option. We’ve also had a lot of questions about how clean things need to be, and they don’t have to be perfectly clean, so you don’t have to scrub and wash it, but as long as it’s fairly clean that’s fine. Rebecca: Yep, that is correct. The symbols on the plastic are actually the resin code which tells manufacturers what it’s made of. So it’s not actually whether you can or can’t recycle it, it’s just telling you what it’s made of. BBC: What other questions or surprises have people had from talking to you today? Rebecca: We’ve had quite a few questions about where Baw Baw Shire’s recycling is going, and that is going to a facility called Polytrade down Dandenong way. It was a useful morning and one a few people will no doubt be regretting missing. But don’t worry, we can help! Rebecca has agreed to answer questions from Baw Baw Citizen readers as part of a future story which will look more deeply into what can and cannot be disposed of in each of Baw Baw’s bins. This is your chance to ask someone who knows what exactly you’re supposed to do with those old paint cans and odd plastics. If you would like to ask a question of Rebecca, send an email with an explanation of what you want to dispose of correctly to admin@fpress.com.au, or leave a comment below! You are welcome to include photos of the item/s, and you could even send us a link to a video question! First published in the 8 December 2017 edition of the Baw Baw Citizen. Get your copy free today from supermarkets, newsagents, and cafes! What do we do with children car seats no longer usable?? Video: Checking out Baw Baw PET EXPO 2018!